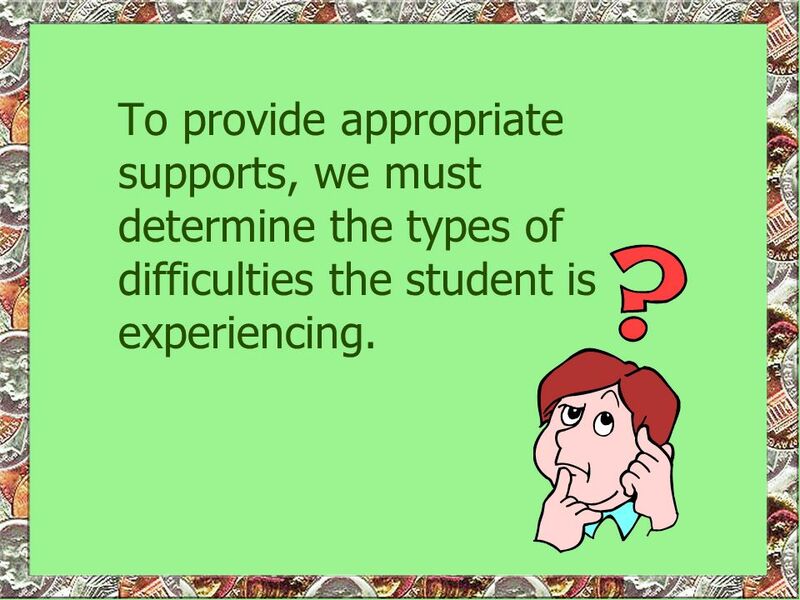 2 To provide appropriate supports, we must determine the types of difficulties the student is experiencing. 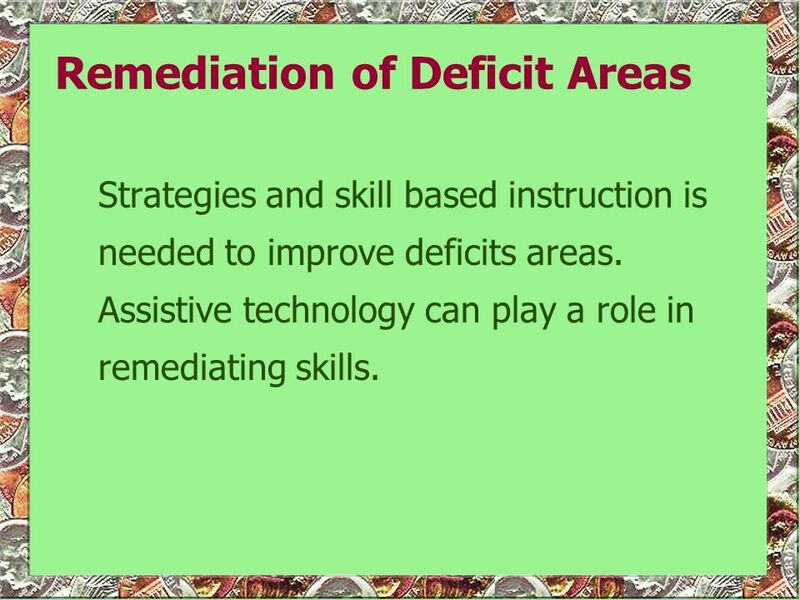 Strategies and skill based instruction is needed to improve deficits areas. 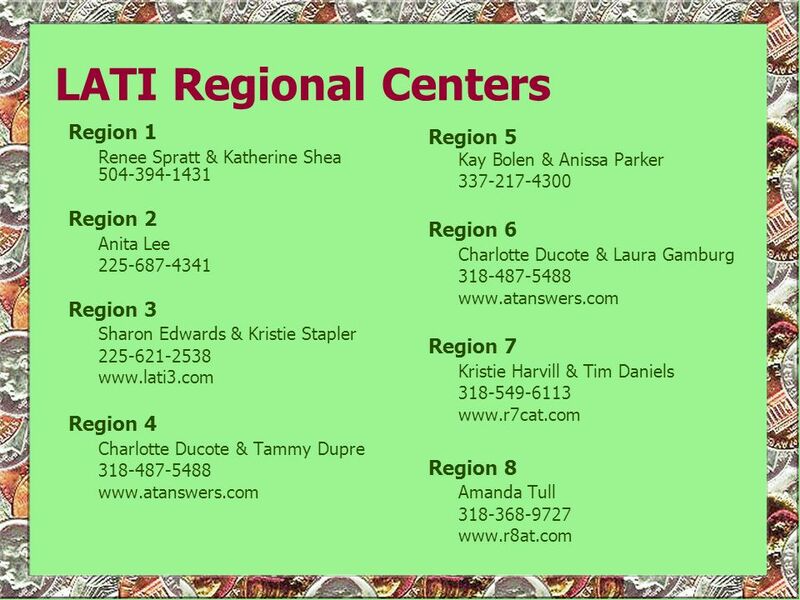 Assistive technology can play a role in remediating skills. 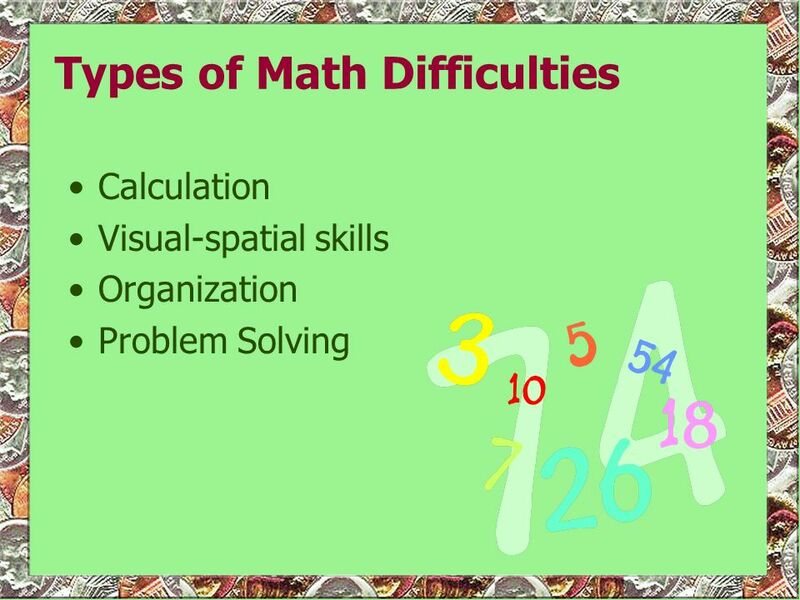 Generally, assistive technology serves to compensate for deficit areas by enhancing access to and success in completing instructional tasks which require students to read and comprehend instructional materials and to demonstrate understanding of math concepts. 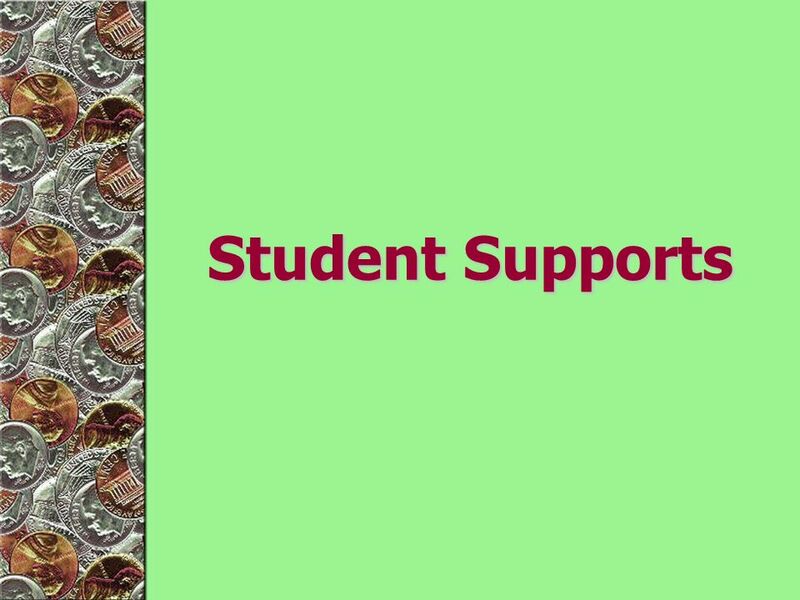 9 In order to produce quality work, the student must have an appropriate environment and access to the proper tools to compensate for difficulties that they are experiencing. 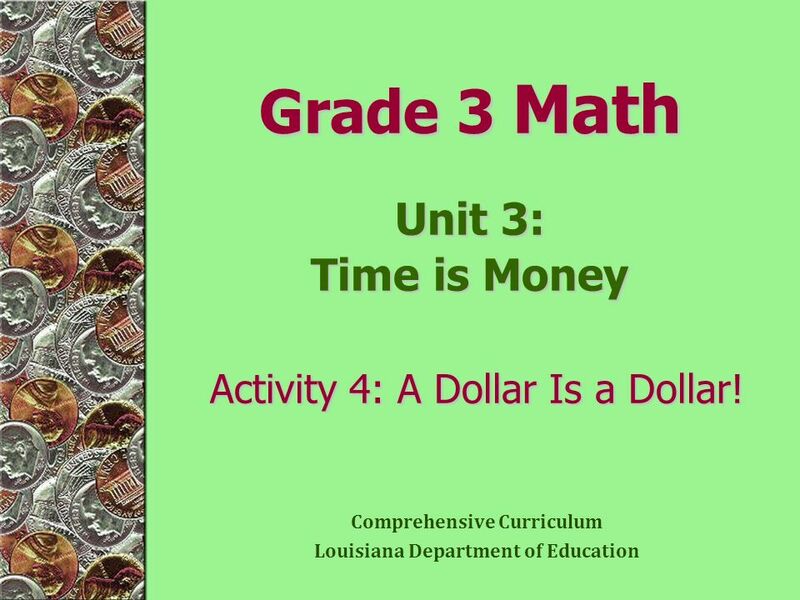 10 Grade 3 Math Unit 3: Time is Money Activity 4: A Dollar Is a Dollar! 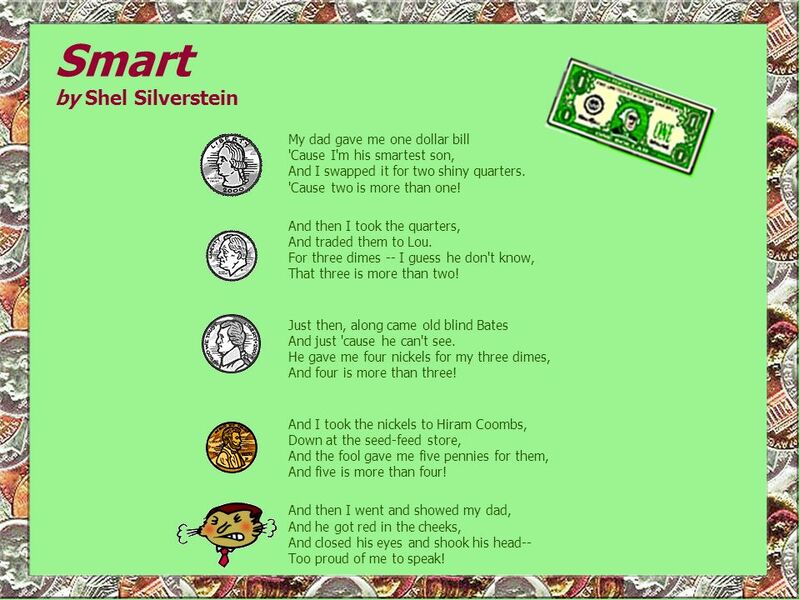 Read the poem Smart by Shel Silverstein. 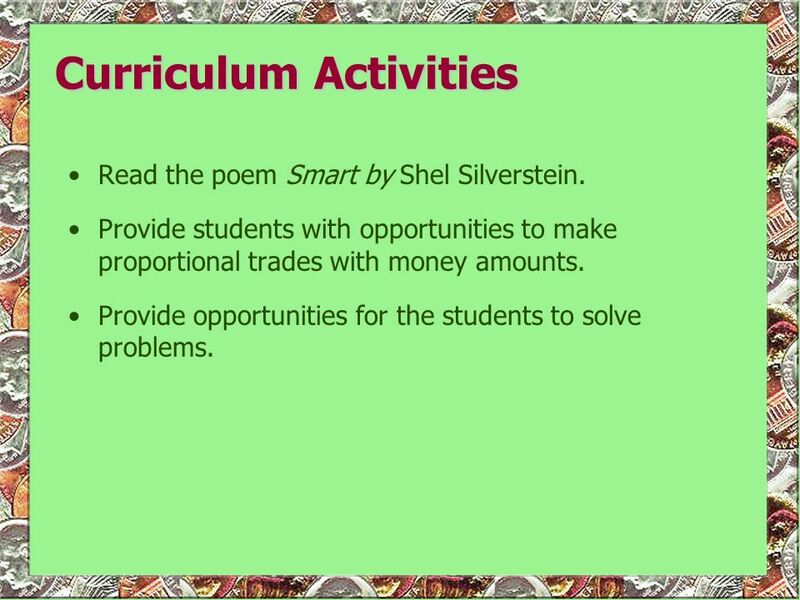 Provide students with opportunities to make proportional trades with money amounts. 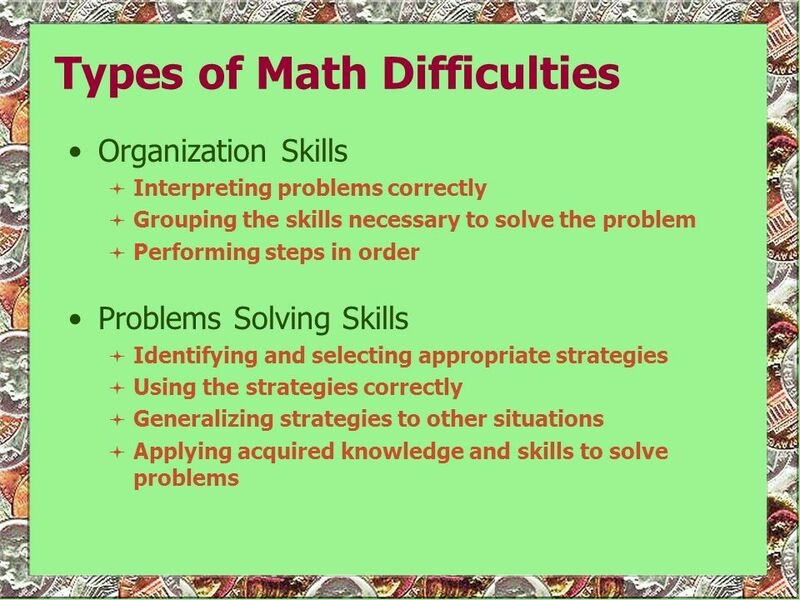 Provide opportunities for the students to solve problems. My dad gave me one dollar bill 'Cause I'm his smartest son, And I swapped it for two shiny quarters. 'Cause two is more than one! And then I took the quarters, And traded them to Lou. For three dimes -- I guess he don't know, That three is more than two! Just then, along came old blind Bates And just 'cause he can't see. He gave me four nickels for my three dimes, And four is more than three! And I took the nickels to Hiram Coombs, Down at the seed-feed store, And the fool gave me five pennies for them, And five is more than four! And then I went and showed my dad, And he got red in the cheeks, And closed his eyes and shook his head-- Too proud of me to speak! 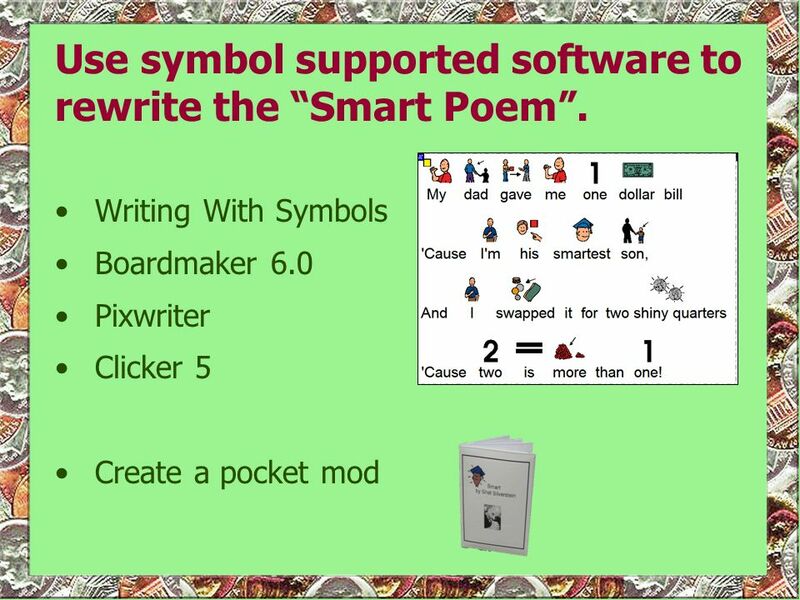 14 Use symbol supported software to rewrite the “Smart Poem”. 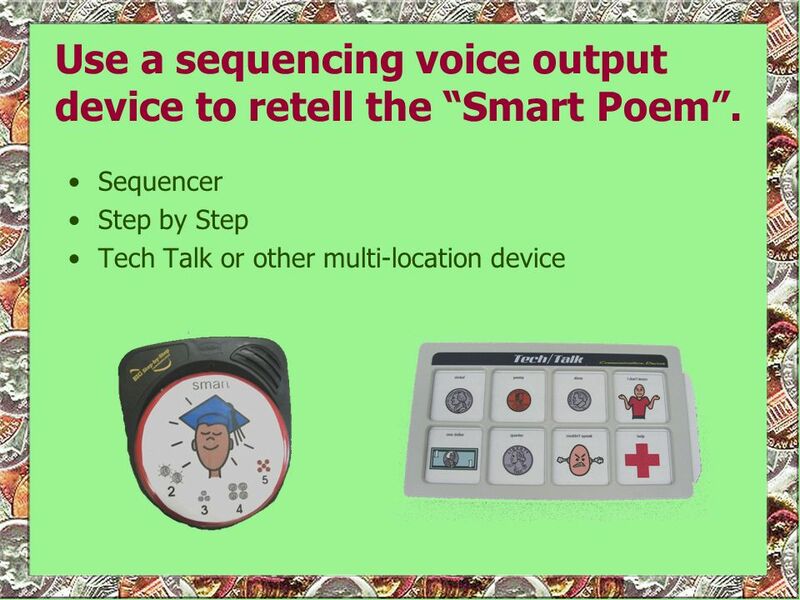 15 Use a sequencing voice output device to retell the “Smart Poem”. 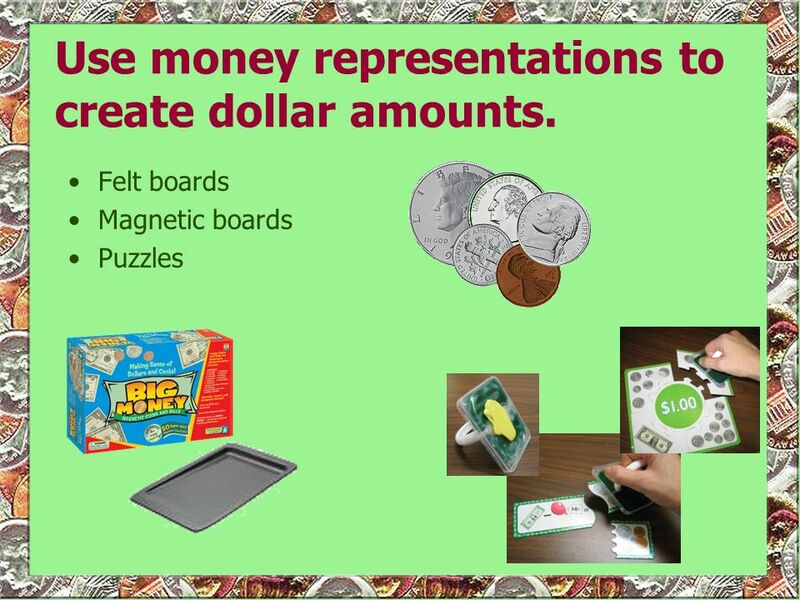 17 Use money representations to create dollar amounts. 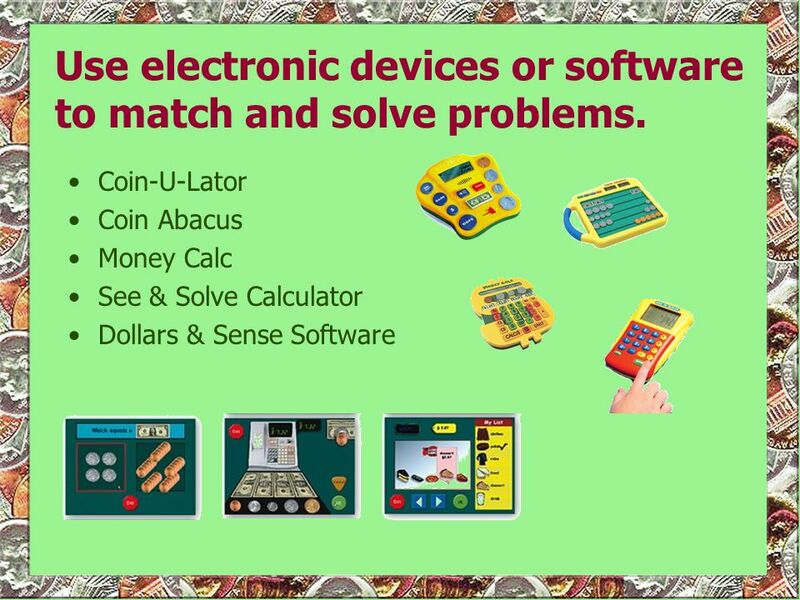 18 Use electronic devices or software to match and solve problems. 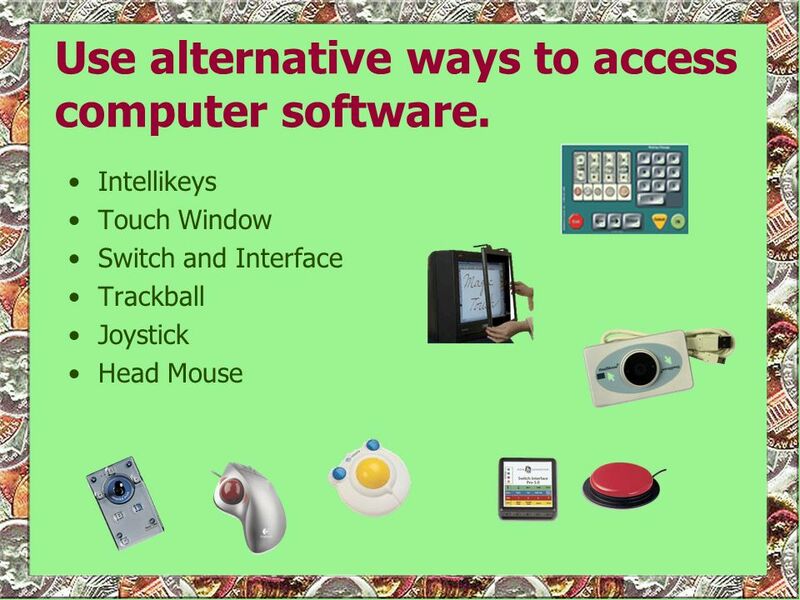 19 Use alternative ways to access computer software. 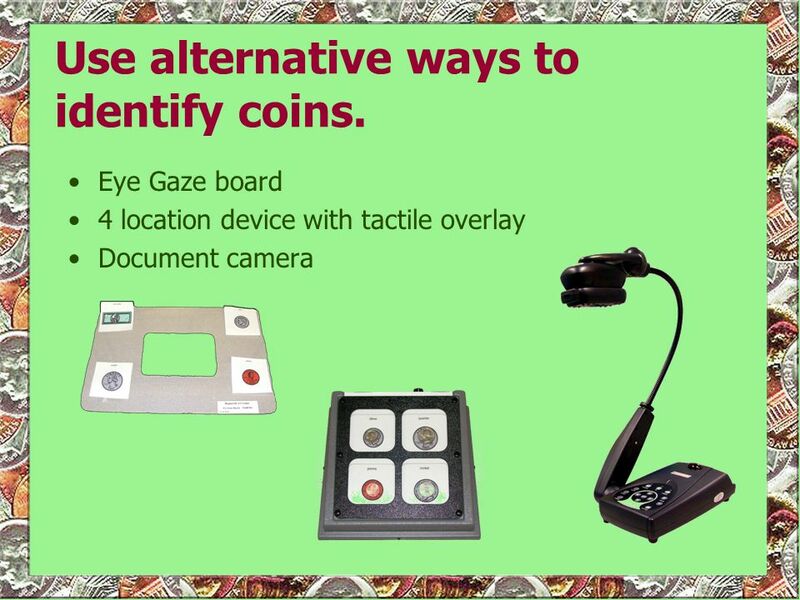 20 Use alternative ways to identify coins. 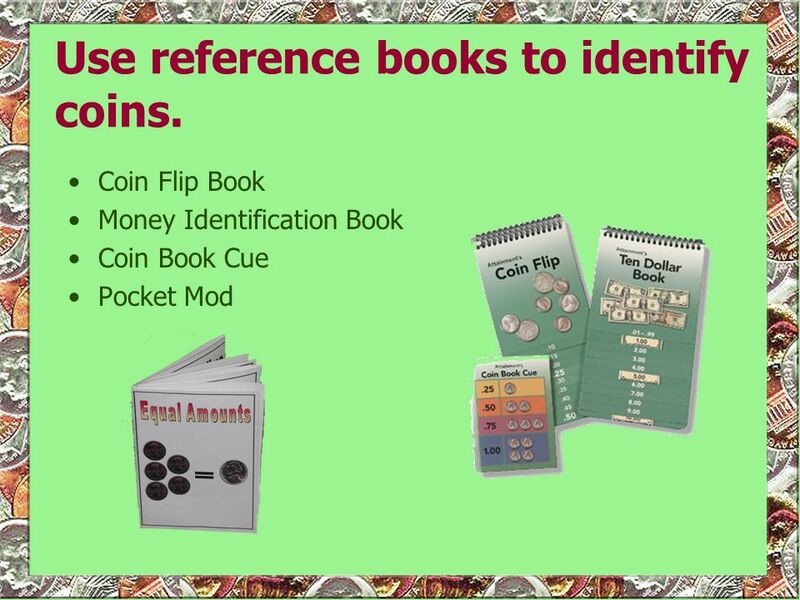 21 Use reference books to identify coins. 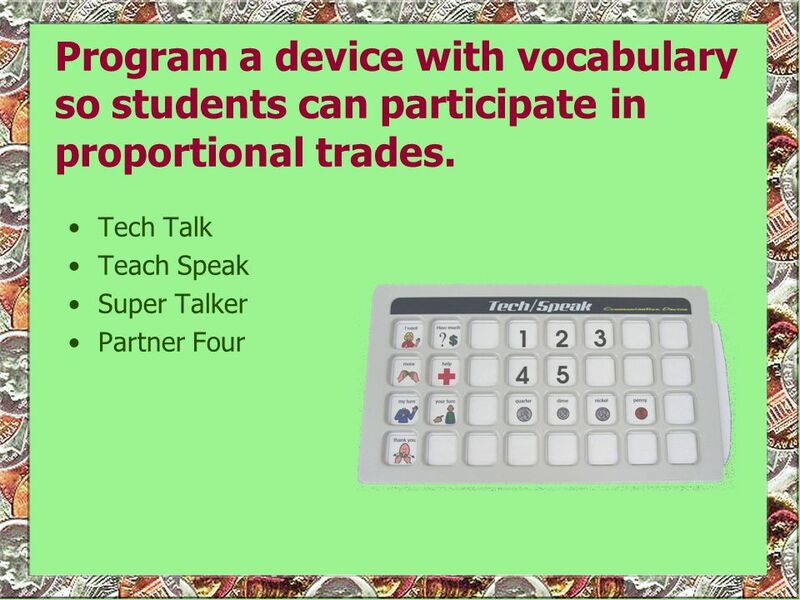 22 Program a device with vocabulary so students can participate in proportional trades. 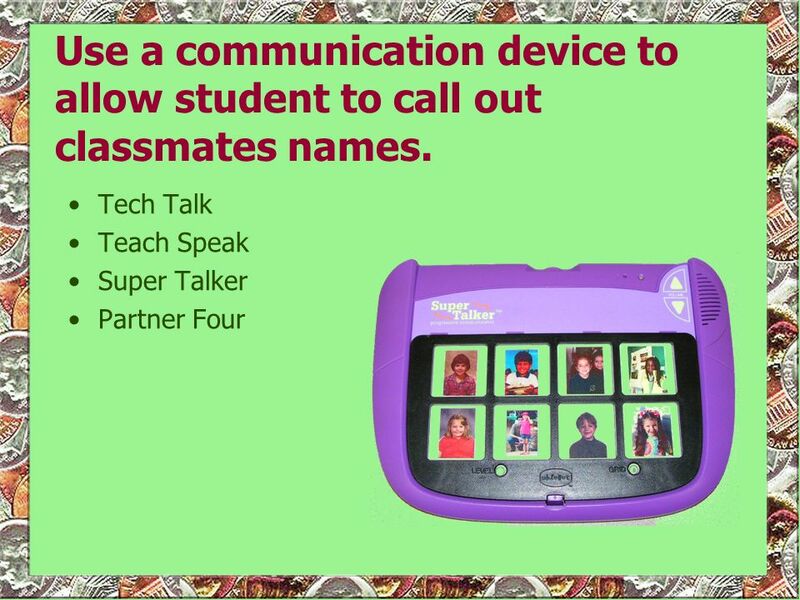 23 Use a communication device to allow student to call out classmates names. 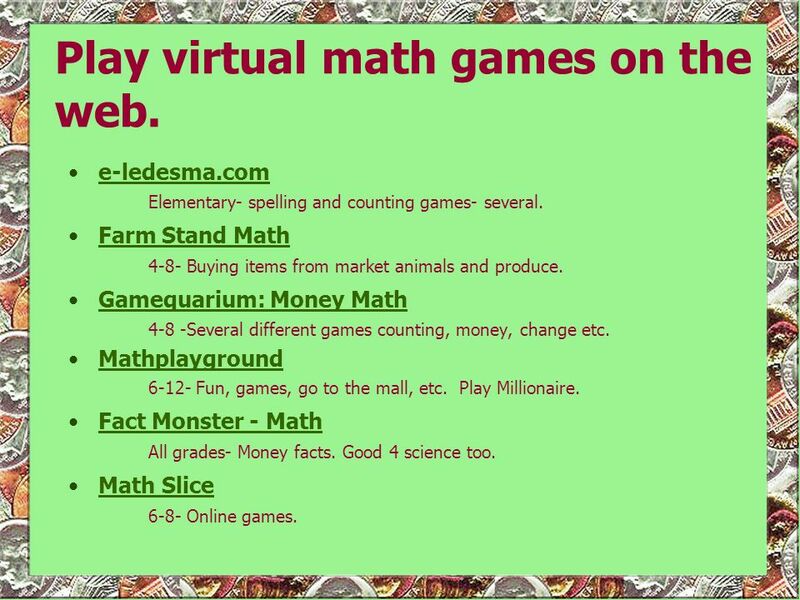 24 Play virtual math games on the web. e-ledesma.com Elementary- spelling and counting games- several. Farm Stand Math Buying items from market animals and produce. Gamequarium: Money Math Several different games counting, money, change etc. Mathplayground Fun, games, go to the mall, etc. Play Millionaire. 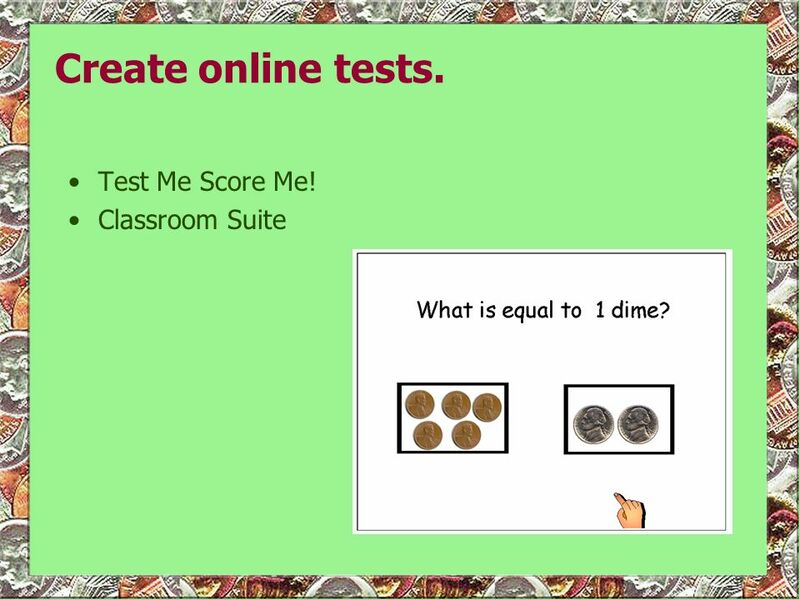 Fact Monster - Math All grades- Money facts. Good 4 science too. 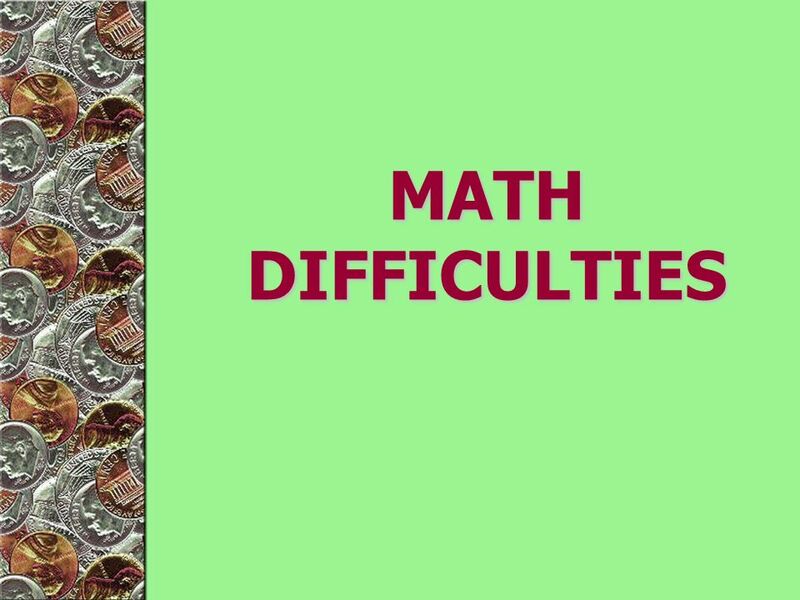 Math Slice Online games. 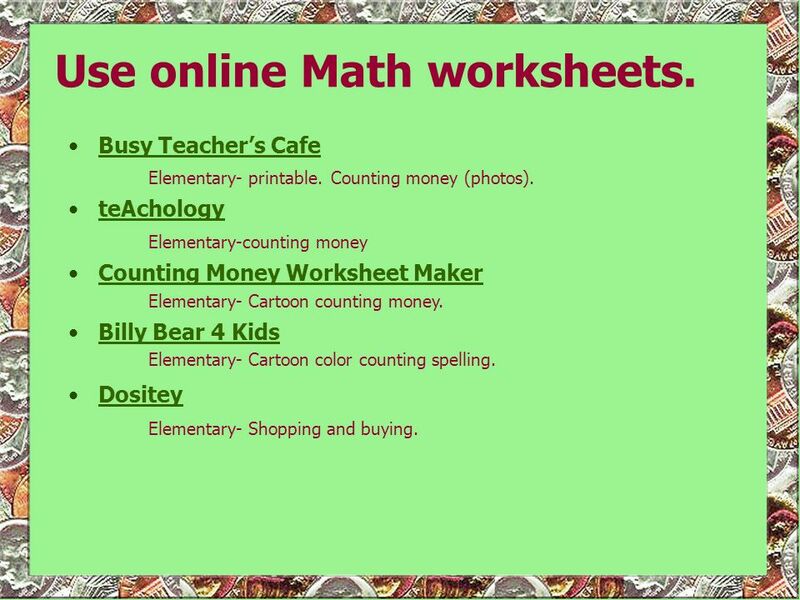 25 Use online Math worksheets. Busy Teacher’s Cafe Elementary- printable. Counting money (photos). teAchology Elementary-counting money Counting Money Worksheet Maker Elementary- Cartoon counting money. Billy Bear 4 Kids Elementary- Cartoon color counting spelling. Dositey Elementary- Shopping and buying. 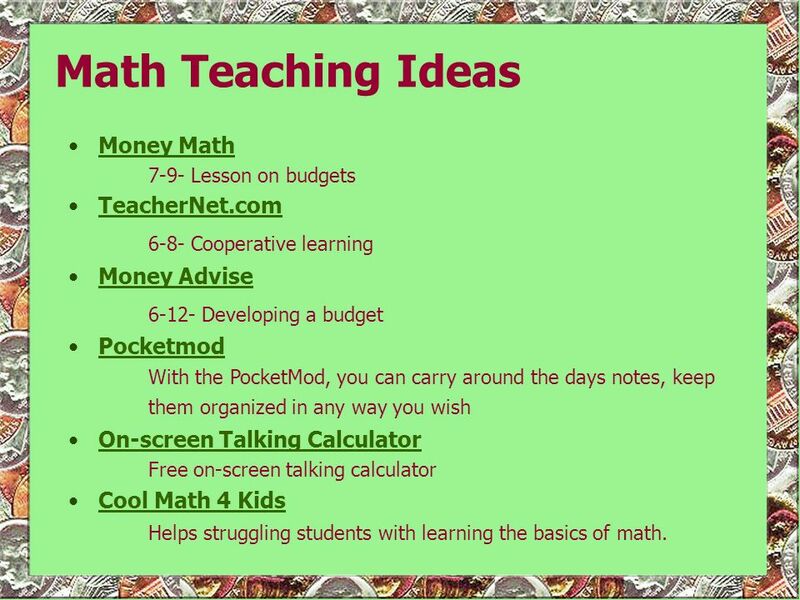 7-9- Lesson on budgets TeacherNet.com 6-8- Cooperative learning Money Advise 6-12- Developing a budget Pocketmod With the PocketMod, you can carry around the days notes, keep them organized in any way you wish On-screen Talking Calculator Free on-screen talking calculator Cool Math 4 Kids Helps struggling students with learning the basics of math. 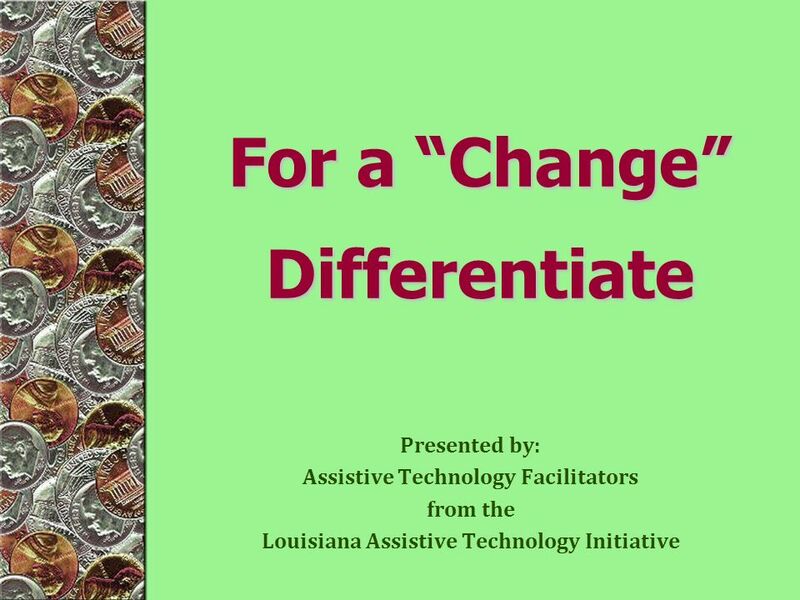 Download ppt "For a “Change” Differentiate"
Sample ways to include AT into a Goal General IEP Goal Johnny will increase his written output in language arts assignments at the grade 3 curriculum level. KINDERGARTEN INVENTORY OF SKILLS AND DEVELOPMENT ASSESSMENT GUIDE Below is a twelve week schedule of all items found on the Kindergarten Inventory. 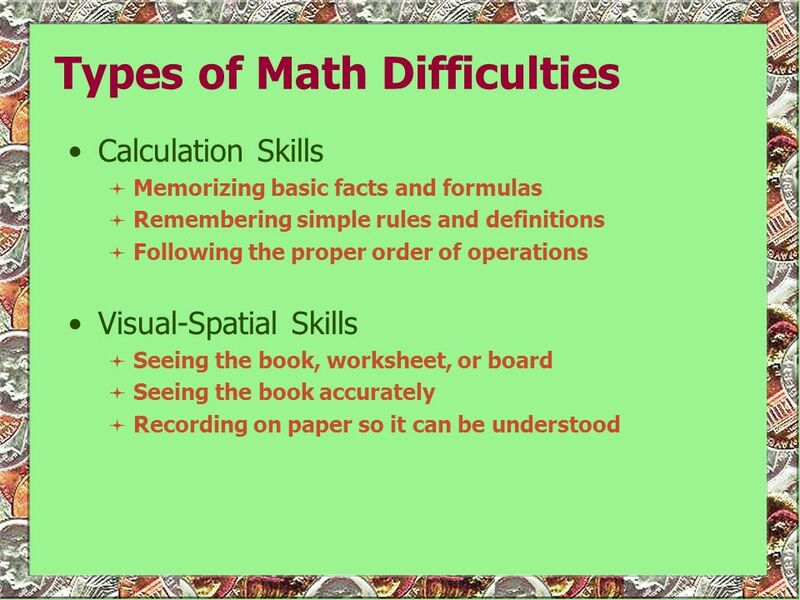 Teaching to the Standards: Math A Literacy-Based Approach for Students with Moderate and Severe Disabilities by Katherine Trela, PhD, Bree Jimenez, MS.
By Tricia Sharkey C.A.S.E. Assistive Technology Introduction to Boardmaker Plus! Counting Coins Chelsea Ventura April 19, Focus Question What other hands on activities could be included in this learning experience which could. Canadian Coins: Combine and Order Numbers to 100. Animal Project It’s going to be an exciting April/May in second grade. This week, students will continue working on our final project about animals. We. Lets Count Money!!! Kelly Goolsby. 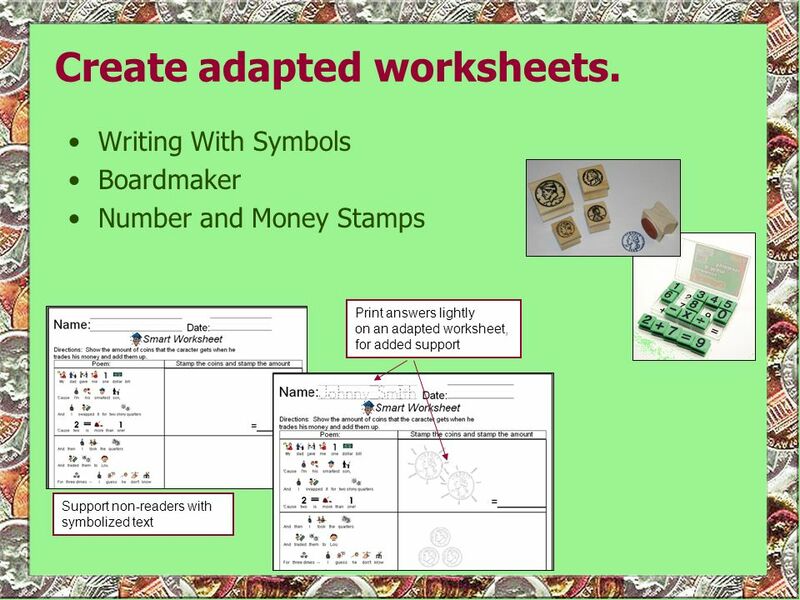 Content Area: Math Grade Level: 2nd Summary: The purpose of this instructional power point is to teach students how. Byron Smith Technology Specialist FDLRS Heartland Help for Struggling Writers. Working With Money Yorubah Banks. 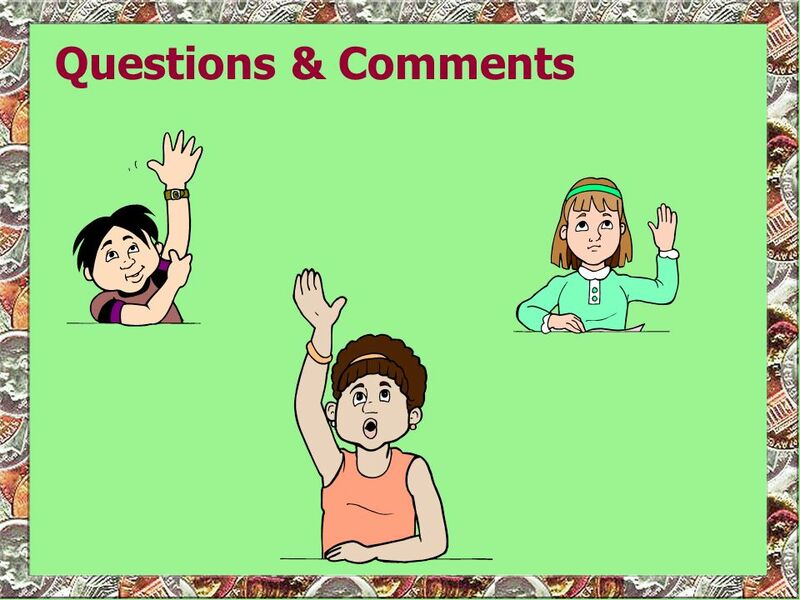  Content Area: Mathematics  Grade Level: Grade 2  Summary: The purpose of this power point is to give the students.